What is a Tripartite Agreement? 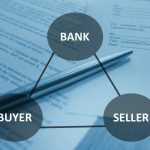 In the Indian Real Estate industry, a Tripartite agreement is an agreement between three parties- The Buyer, The Bank, and The Seller/Developer. The Tripartite agreement lists the obligations of all the three parties involved. This agreement contains all the details of the mortgage for the home/apartment, the rights & liabilities of all the parties involve specifications of the property, the carpet area and all details pertaining to the loan/financing of the property, the date of possession of the property and specifies the details of the penalty clause. Tripartite agreements have been established to assist buyers with acquiring loans for properties against the planned purchase of the property. Since the home/apartment is still not in the name of the customer until possession, the builder is included within the agreement with the bank. The following details are required in a Tripartite Agreement. The Tripartite Agreement should have a declaration / representation from the developer or the seller stating that the property has a clear title and that the Developer has not entered into any new agreement for the sale property with any other party. The Maharashtra Ownership of Flats Act, 1963 requires full disclosure from the seller/developer to the buyer on all details as relevant to the purchased property. REMI is a leading institute with two centers in Mumbai, that provides certification programs, executive courses and customized training workshops specially designed for the Real Estate Industry. REMI offers an international curriculum that trains students and professionals in global best practices through its collaboration with IREM®, USA.